3D print your objects and parts from two filaments or use support material to create complex shapes. The two filaments can be extruded where they are needed. 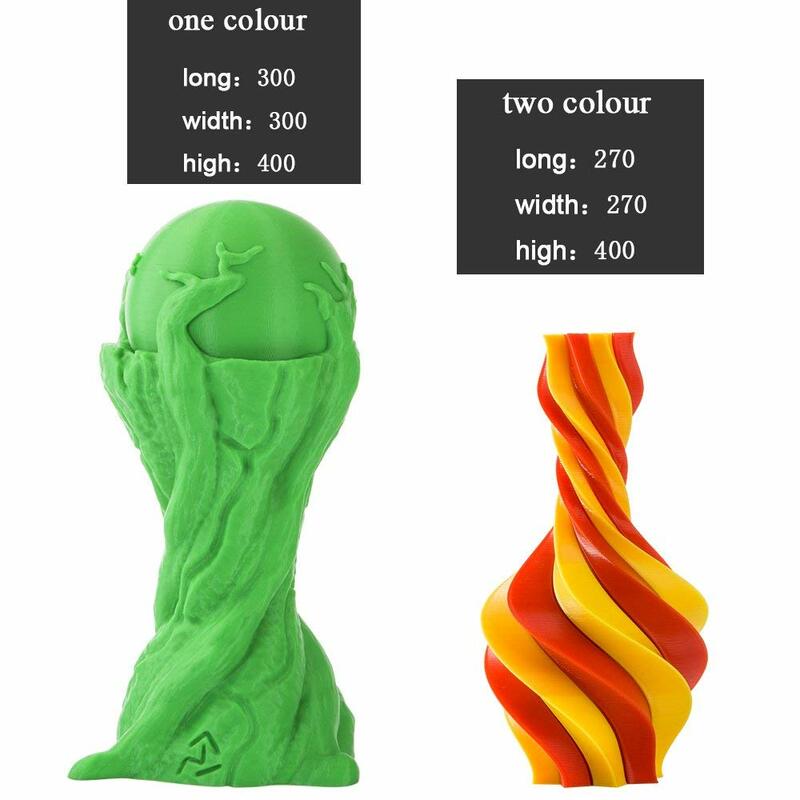 With the Creality CR-X you can 3D print two filaments, two colors or two different materials. 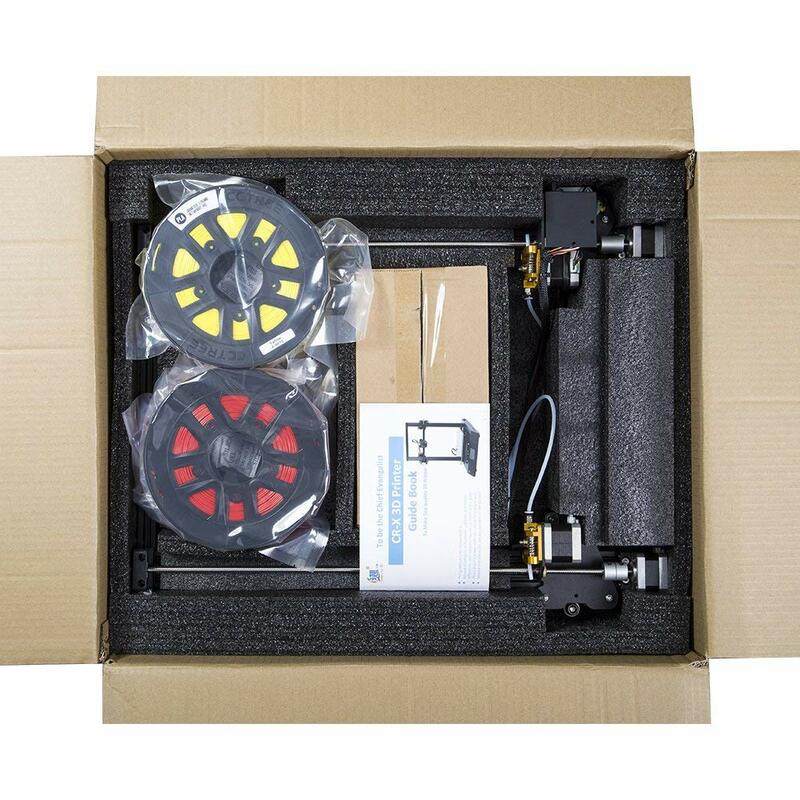 The two filaments are stored on two spools and fed through a dual-extruder to the single nozzle. There they mix or extrude separately from each other – the choice is yours. 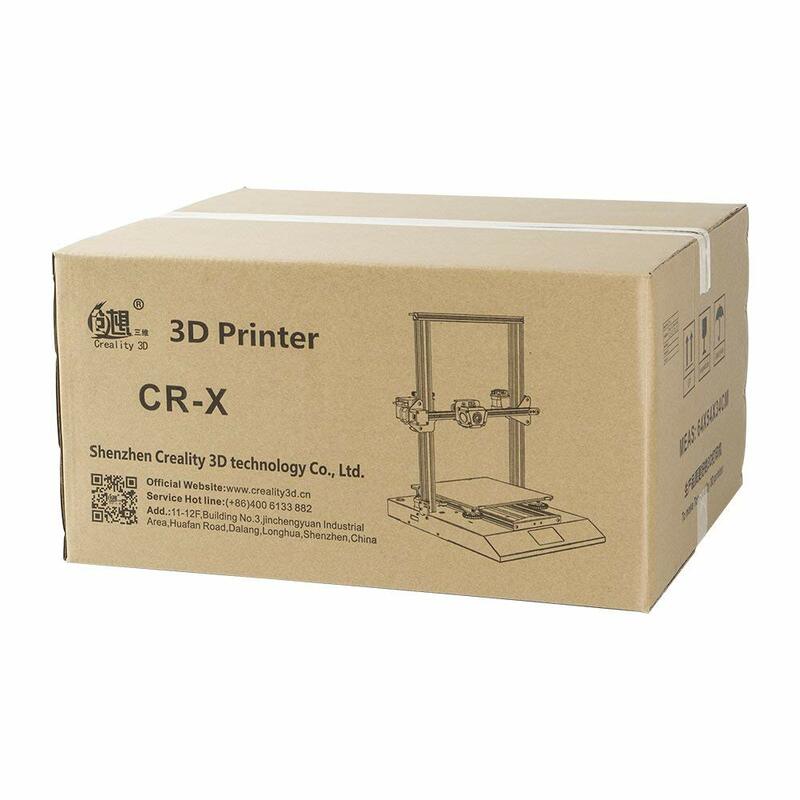 The CR-X 3D printer's design and features make it ideal for additive manufacturing of complex components with two-color or water-soluble support structures. The assembly time takes about 15 minutes. Use the Creality CR-X with two filaments and support materials to additively manufacture colorful and complex components. 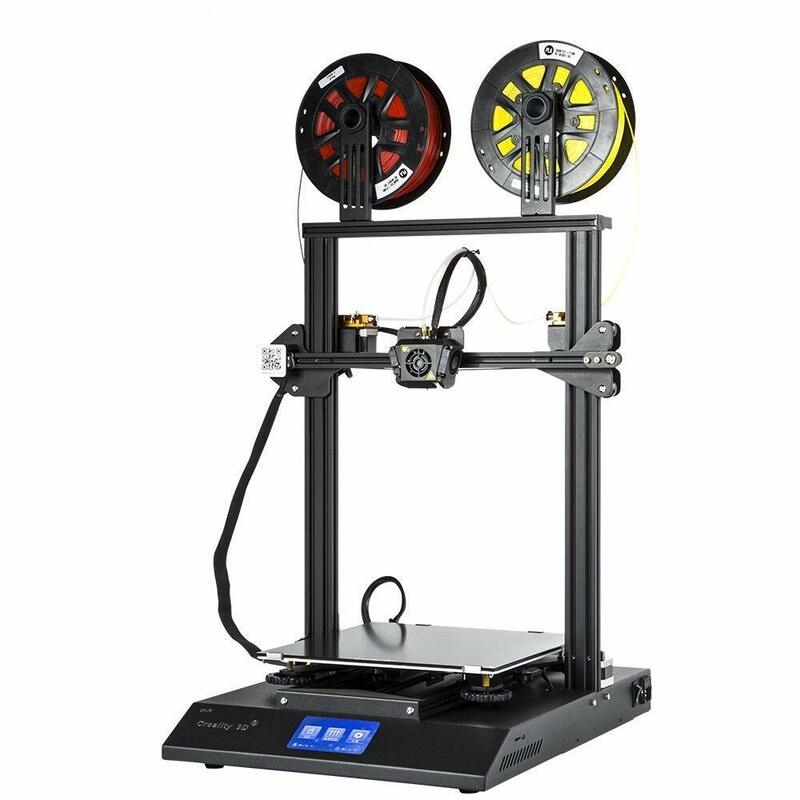 This 3D printer allows you to 3D print on a surface of 30 x 30 x 40 even large components. 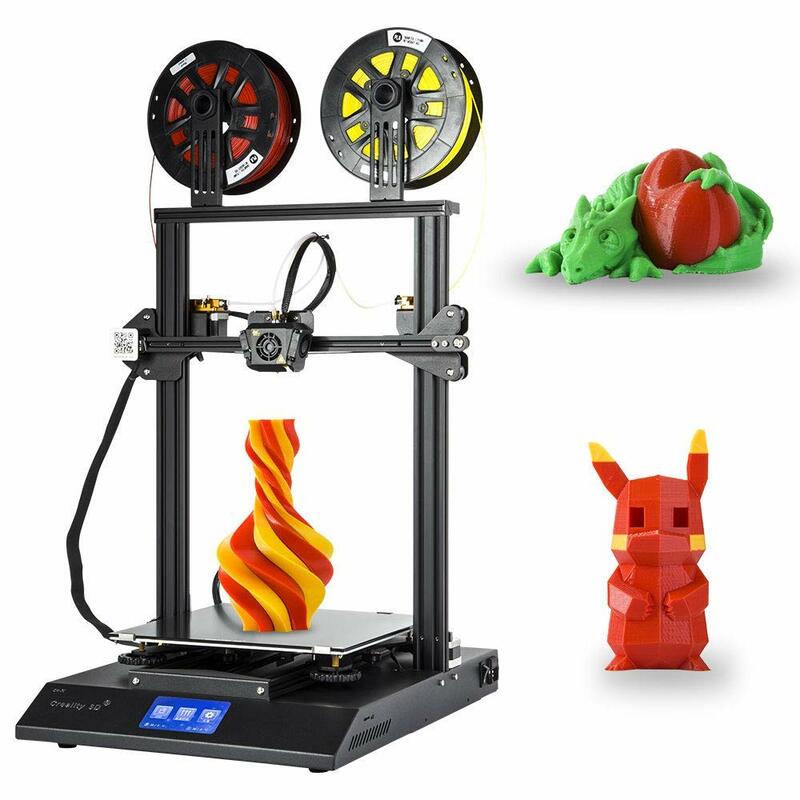 The innovative hotend enables you to create two-color 3D prints or a support structure for overhangs and bionic geometries. Moreover, the two extruders feed either the right or the left filament to the nozzle as required. Between a material change, they extrude residues onto a material block. This ensures that the colors do not blur. The removable glass plate with silicone plastic coating ensures that your components adhere well to the building platform during 3D printing. After your 3D printing process is complete, the objects can be removed very conveniently and easily by cooling the glass plate – without any annoying scratching. 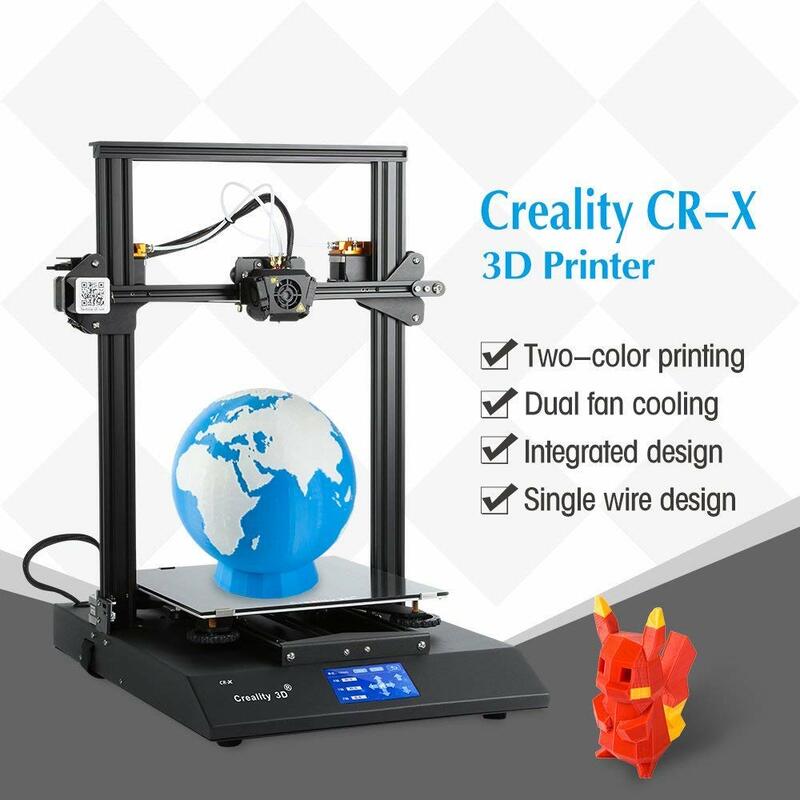 Buy the Creality CR-X and 3D print with two filaments, two colors, or two different materials. This 3D printer is ideal for additive manufacturing of large and complex parts. 1. Two-color 3D printing: double-injection and one-out nozzle design. Two consumables, two extruders, one nozzle. 3. 4.3-inch colorful touch screen: User-friendly UI design, with sound prompts, perfect human-machine dialoge function, offers you an unprecedented intelligent operating experience. 4. 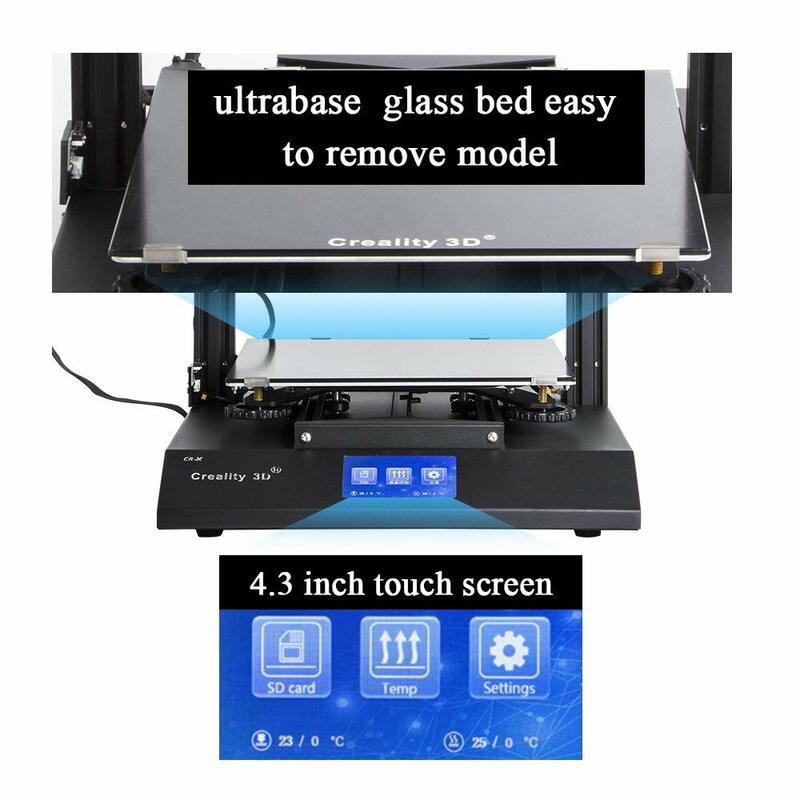 Carboloy silicon 3D printing platform: No need to use glue, perfect bonding with consumables at 60 ° C, Reduces adhesion after cooling, the model and platform are easy to separate, and the model is easy to remove. 5. Bigger power supply: Use of well-known MeanWell large power supply,only needs 6 minutes to heat the hot bed to 100℃. 6. Larger leveling nuts: Ergonomic design, easy to adjust. 9. Support water-soluble consumables: Use the second nozzle to 3D print water-soluble support material, this material is easy to remove after soaking in water, giving you a more detailed model surface of complex objects. 10. All-metal extruder: Better strengths, longer service life, self-contained elastic adjustment device, giving you a smoother aditive manufacturing experience. 11. 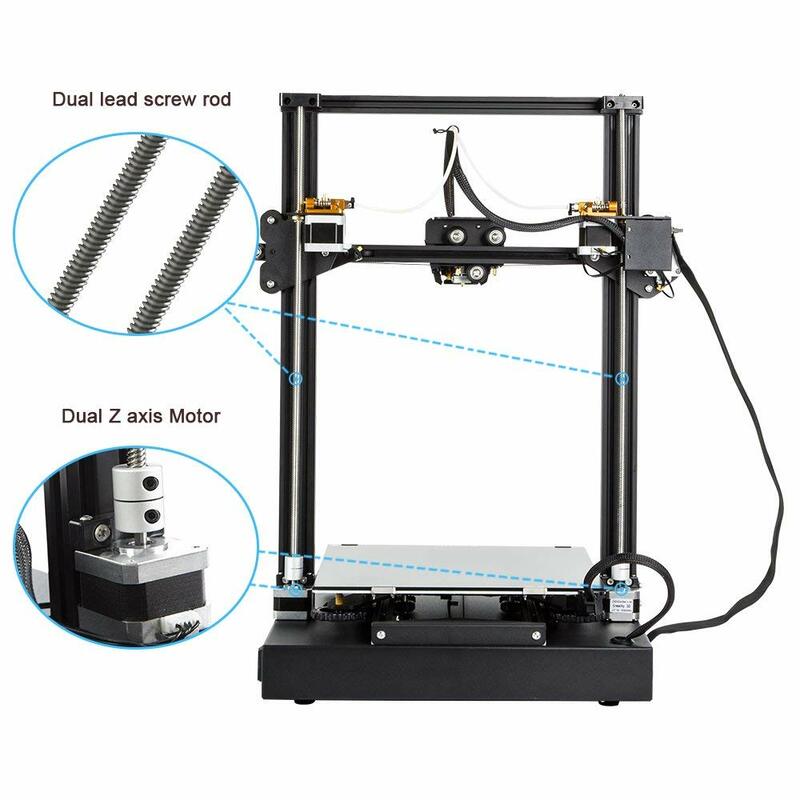 Z-axis double screw design: More stable lifting, higher 3D printing accuracy. 12. 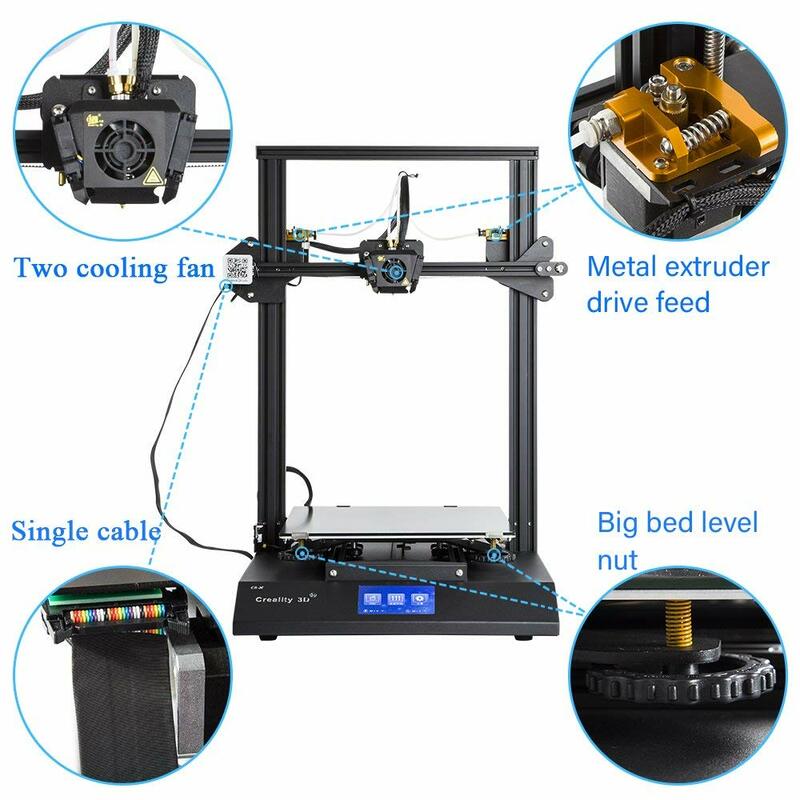 Resume 3D printing while power-off: The motherboard is fully upgraded and supports continuous power failure, which effectively reduces model scrapping caused by power outages. 13. Creality3D V2.1 motherboard: All-upgrade, quality assurance, industrial-grade process, 200 hours of continuous 3D printing without shutting down or interruption. 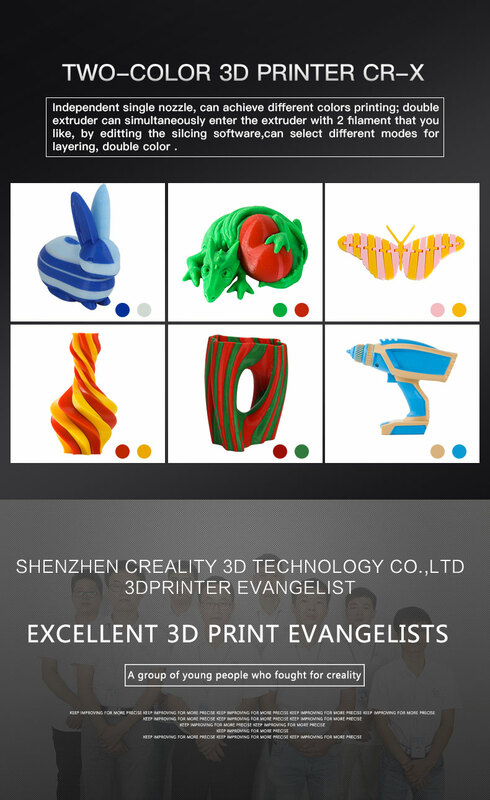 Do you want to create large and two-color 3D prints of complex objects? 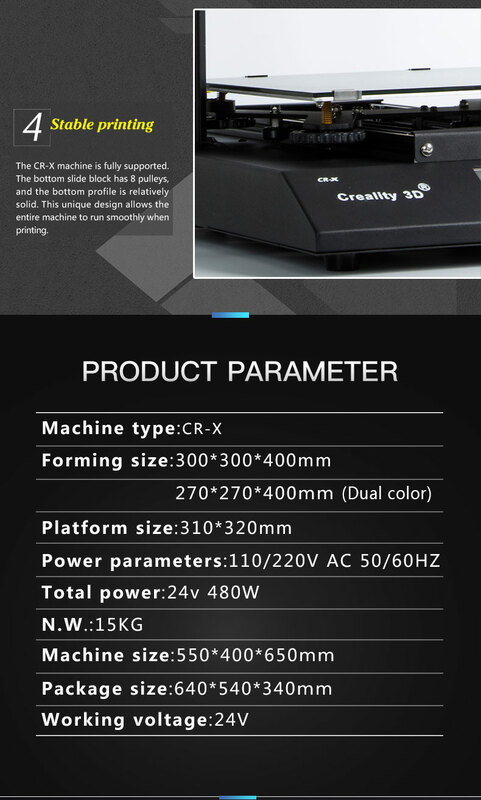 Buy the Creality CR-X for processing two filaments.